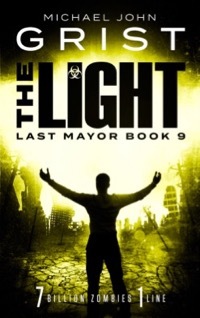 The Light is Book 9 in the Last Mayor series, bringing the series to its end. Ever since the world broke apart, ‘Last Mayor of America’ Amo has known what kind of world he’d like to build. Now there is no light at the end of days. Only darkness. And darkness will rule over all. The Light is the heartbreaking final book in the Last Mayor survival horror series. The Light, Book 9 of the Last Mayor series, is available as an e-book now.